In 2015, I was lucky enough to take the chance to dive head first into blogging full time and I haven't looked back since! 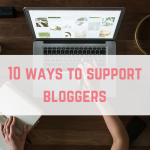 I would love for other people to be able to do the same and if I could manage it myself, you absolutely can do the same for your blog too! 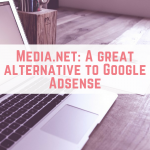 Key parts of the success of my blog came from multiple areas including writing, search engine optimization, learning how to pitch to brands and create a strong brand to name a few. Building a successful blog is definitely not an overnight thing, but if you're willing to put in the work, it is absolutely possible. Today I have a fantastic resource to share with you, that will bring so much help to bringing this vision into a reality. 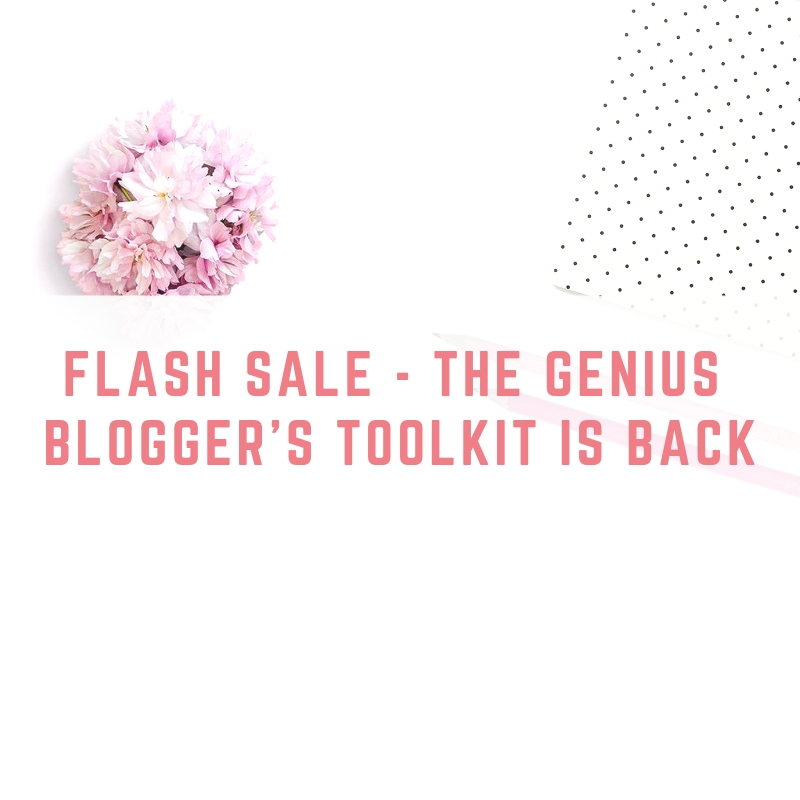 The Genius Blogger's Toolkit is a digital package crammed full of brilliant tools to help you grow your blog, work smarter & make more money. But at a fantastic price – way less than you would normally have to spend. 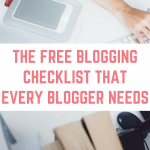 In total, the toolkit includes over £4.400 worth of blogging tips, strategies, tutorials and amazingly practical information and ideas. Plus you get free bonus offers worth £1,000+, with 15 tools and services to help you run your blog. But the truly amazing part? It is being sold again for a crazy 97% off of regular price! You can get it for $99, which is around £75! This bundle is only available for a very short time during their flash sale which will be ending on April 12th 6 AM GMT so act fast! 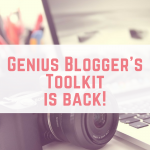 There are so many great products in this year's Genius Blogger's Toolkit, including my own affiliate marketing course. Here is what you can expect to find in the bundle. Side note: There is no way that you will use all of these resources. However it is such a great deal, with plenty of products costing more than the entire bundle. Plan Your Perfect Website: Expert Advice for Online Success by Carrie Green An online self-study course that takes the guesswork out of creating or redesigning an effective website that engages and converts visitors. Saying ‘I don't own the rights to this content' won't save you from legal trouble; this eCourse will. 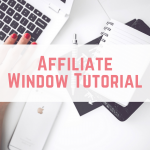 Just Start Podcasting by Kim Anderson Go from knowing nothing about podcasting to strategizing, planning, recording and releasing your very own podcast to expand your audience. Busy Blogger Stock Photo Bundles by Elle Drouin Instantly elevate your blog and brand with this collection of high-quality, styled stock photos. Includes versatile images that can be used for blog posts, website graphics, social media, and so much more! The Ultimate Styled Stock Photo Bundles for Female Entrepreneurs by Elley Charles Perfect for bloggers, female entrepreneurs, influencers & business owners ready to make an impact in the online world, these sets of styled stock photos is going to help you level up your branding! This is a 70-page ebook written by New York Times best-selling author and blogger Stephanie O'Dea. Written for new or on-the fence bloggers: if you can write a Facebook post, you can blog! 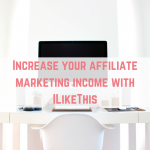 This affiliate marketing course focuses on creating conversions – in blog post AND in email. It's one thing to put a bunch of links out there, and a while ‘nother thing to make money from 'em. 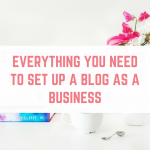 Just give Laura one hour – and she'll show the secrets she's used to create loads of printable downloads that grew her blog into a six figure business. Before you start down your Shopify journey, you need to know WHAT to sell, how to sell it, and where to start. After reading this book, you'll discover exactly what you should sell and have a good 50-foot view of your plan going forward. The Blogger's Guide to Biblical Screen Time Boundaries Mini Course includes 6 action steps (& 3 quick wins) for bloggers balancing family life and business. Organize and track when and where you've pinned with maximum efficiency. If you're tired of missing out on opportunities for business growth, then you need the Conquer Your Business Analytics course! 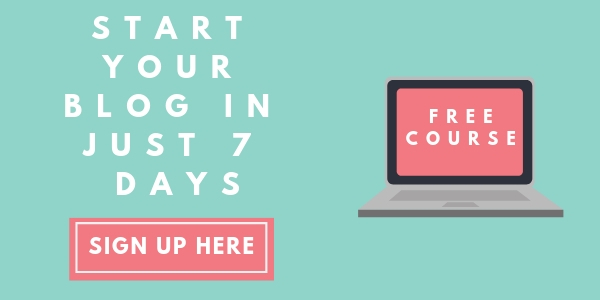 WordPress Made Easy is a beginner's course that shows you how to get your website setup on WordPress in just a few short hours. To say thank you for purchasing through my affiliate link I have put together some bonuses for you. Simply purchase the bundle through my link and once you have purchased your bundle click here and fill out this form to receive your bonuses from me. 8 blog posts that every blogger can write for affiliate marketing. Watch me give an affiliate marketing blog critique. A spreadsheet to keep all of your affiliates and notes in one place. A FREE 30-minute coaching session with me! 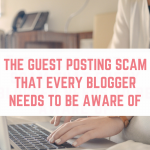 This session can be on any blogging related topic you're struggling with. Note: This must be booked within one month or by the end of May. Remember to click here to complete the form once you have purchased your bundle using my affiliate link to get these bonuses.